ASSURED FUNDING LTD is an FCA authorised and approved commercial finance brokerage. Specialising in bridging loans, commercial mortgages, complex BTL, development finance, international and expat mortgages and specialist lending for HMO's too, Assured Funding Ltd is the professional commercial finance advisory service for Property Investors throughout the UK. Buying a property means doing the maths and making sure the whole transaction is affordable. One cost often overlooked and yet usually has to be factored in, is the Stamp Duty tax. To help with your due diligence, click this link > http://www.hmrc.gov.uk/tools/sdlt/land-and-property.htm to be taken straight to the governments land tax calculator. The Essex Property Network is a hub for property related activity in Essex. ...By joining the Essex Property Network, you’ll be able to network with first time investors/home buyers, landlords, experienced property investors, and professionals from a wide range of fields that are property related. www.PropertyTribes.com was founded by Vanessa Warwick and her husband Nick Tadd. Vanessa and Nick are professional landlords and together they run Property Tribes, which - with over 9300 threads and 94269 posts as at December 2013 - is one of the U.K.’s busiest on-line landlord and investor community websites. Vanessa and Nick also speak at events all over the U.K. as well as consulting for the BBC on property. www.Property118.com - Property118 started off as a commercial finance brokerage from being a bedroom based business startup in 1990 to ranking #38 in The Times Profit Track 100 by 2008. Launched in January 2011, they soon became one of the very few UK based property publishers to be appointed by Google News. c200,000 UK landlords and associated property professionals subscribe to Property118.com newsfeeds. Online (and personal advice) provided by a plethora of property and financial professionals, as well as a sharing and community forum of BTL investors. WHETHER YOU ARE A NEW LANDLORD WHO NEEDS TO PREPARE A TAX RETURN, OR AN EXISTING LANDLORD WHO WOULD VALUE A TAX ADVISOR, RITA 4 RENT, SPECIALISTS IN LANDLORD TAXATION. 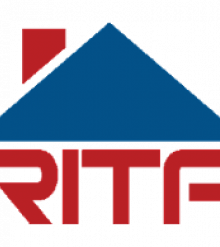 Rita 4 Rent are the sole recommended tax advisors of the Residential Landlords Association, who represent over 17,000 UK landlords with a combined portfolio of more than a quarter of a million properties. A free initial consultation at your home, in their offices, or over the telephone. No need for fee protection insurance, Rita4Rent's fee provides cover for the work involved in random HMRC tax investigations. 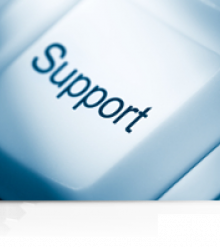 Preparation and filing of your self-assessment tax return. Relevant tax advice as required, in all areas such as Capital Gains Tax, Inheritance Tax issues and the HMRC Let Property Campaign if applicable, and advice regarding multiple property portfolios.